Taryn McCoy and Brian Linton teamed up for the 2016 Scottish Islands Peaks Race – an adventure race for teams of Sailors and Fell Runners on and around the most beautiful parts of the West Coast of Bonny Scotland. Brian also sails and has taken part in this event on 4 previous years with the same sailing crew. It’s a fantastic event, a real adventure and a race so full of variables and tactics meaning teamwork and ability to adapt are absolute key. The weather has a huge impact on the outcome of this event. This year whilst it was ideal for us as runners, getting daylight for all the run sections and even blue sky and sunshine for Arran, the sailors however got a mix of everything. 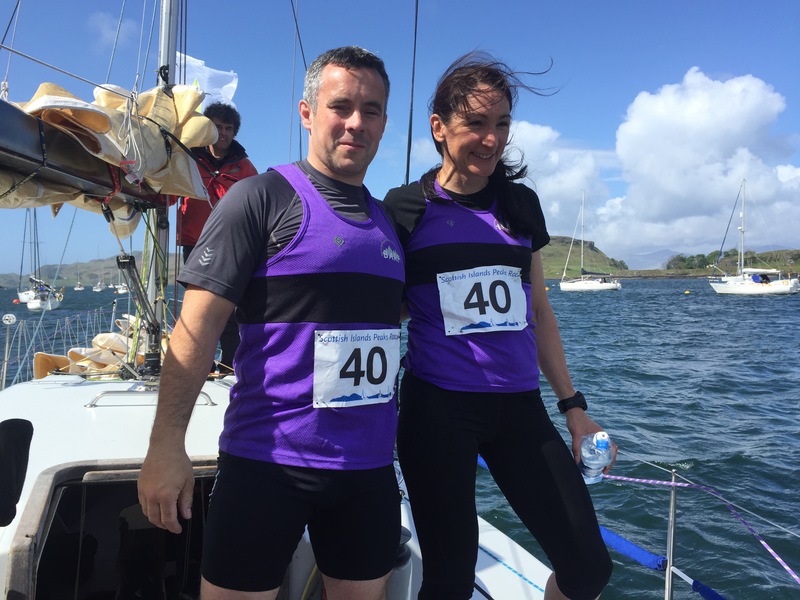 This entry was posted in Race and tagged barf, BARF NI, BARFNI, fell running, Sailing, Scottish Islands Peak Race on May 25, 2016 by Aaron.